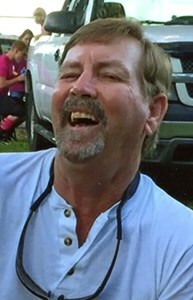 John Wesley Morgan, III, age 61, of Deltona, FL passed away on Wednesday, January 30, 2019 after a brief illness at Halifax Health Hospice in Orange City, FL. John was born on December 15, 1957 in Waycross, GA; son of the late John Wesley Morgan, II and Florence Evelyn (Sheppard) Morgan. He was a graduate of Colonial High School. John was a longtime construction worker in the Central Florida area, working in carpentry until his retirement. He was a skilled artist who enjoyed painting, and also loved to spend time on the beach. John is survived by his longtime companion, Dawn Brinson; his daughter, Rachel Young; his grandson, Jaxson Perrone; and his sister, Rita Lattmore and her husband, Bob. He was preceded in death by his parents and his sister, Mary. John’s life will be celebrated on Saturday, February 16, 2019 from 11:00 am to 1:00 pm at Newcomer Funeral Home – East Orlando Chapel, 895 S. Goldenrod Rd, Orlando, FL 32822. To share your memories of John or leave a special condolence message for his family, please click the Share Memories button above. Add your memories to the guest book of John Morgan, III. My memories of John are when he was very young. He used to live down the street from my brother Michael and my sister Michelle. John had really blonde hair and loved the beach. Life is so short and by the time we figure life out it is time to say goodbye. My deepest condolences to your family and friends. It is always a terrible loss to lose someone in death. But remember the God of all comfort can give us comfort during our grief. God remembers us even in death. When John parted it hurt me deeply. I loved him like a brother. There are some people you cannot forget, some people make an impact in our lives that makes it impossible to forget them, that was Johnny! I can't stop thinking of the conversations and all the laughs we had. I can still hear him laughing. John had a good heart, and loved his family. Go with God my bro! I will miss your smile. I can’t believe he is gone. I barely knew John. But our relationship was real, deep, and meant so much to me. I played music (with Owen Ca$h) at many functions that John attended with his great group of friends. He always praised the band and me about our music. At first I just thought he was just being polite. But as I got to know John better; I realized that was not his way. He meant what he said to me and Ill never forget him for it. RIP John. Maybe we’ll get to know each other better in the next life. I sure hope so.